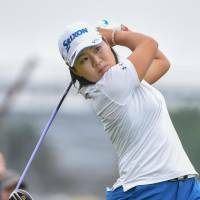 INDIANAPOLIS - Nasa Hataoka shot a 3-under 69 Friday to stay in contention heading into the weekend at the rain-affected Indy Women in Tech Championship. 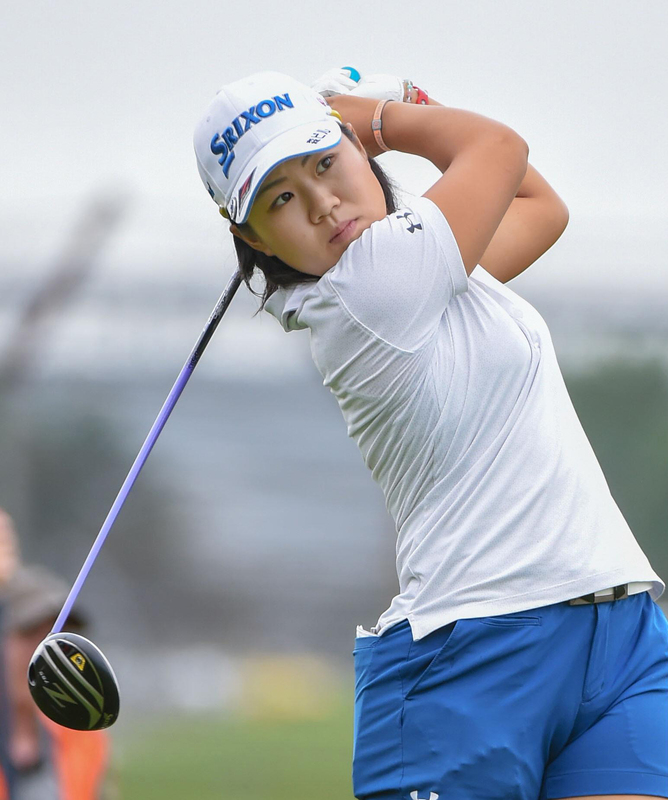 Hataoka, who started two strokes behind overnight leader Lizette Salas of the United States, carded five birdies and two bogeys at Brickyard Crossing to share third place with American Danielle Kang at 11-under. Park Sung-hyun of South Korea shot the day’s low score of 63 and rocketed up the leaderboard to join Salas in joint first, two shots ahead of Hataoka and Kang. “My tee shots were more consistent than yesterday and I had a lot of chances on the front nine. I’m not happy with how I played the back nine but at least I got a birdie to close,” said Hataoka, who rolled in a three-foot putt on 18 to finish on a high. “It’s only half finished. I need to focus for two more days. It’s easier mentally to chase than be chased,” she said. Harukyo Nomura shot a 73 to finish at 1-over after two days, four shots outside the projected cut line. Sakura Yokomine was one of many who did not complete Friday’s play due to the weather. She sits at 1-over for the round and 3-under overall after 13 holes and will have to close out without falling further back with the projected cut at 3-under. In Greensboro, North Carolina, Brandt Snedeker couldn’t block out the buzz that surrounded his first-round 11-under 59 at the Wyndham Championship. He refocused just in time to reclaim the lead.